For every individual who has had the idea of starting a business, there is that moment of reality and clarity that sets in when they become fully aware that they have no idea of how much it costs to open the doors, let alone run their business. They don’t know the business expenses, at least not all of them. There are some that are evident, while others may creep up without warning. 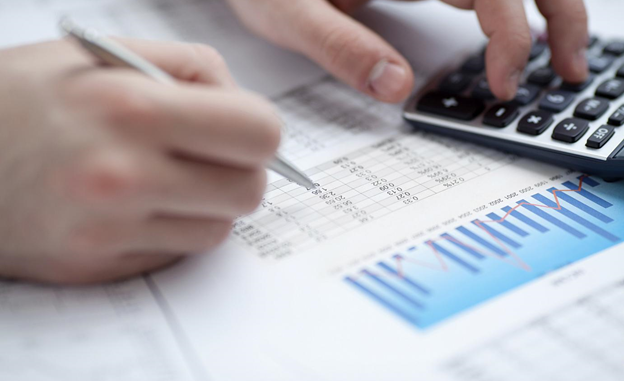 Every business is different, and each has individual needs and costs, but these are some of the most typical and generic business expenses that most companies will see during their first year of setup. The utilities that are necessary to keep your business running will be another of the major business expenses. Included in this category are your phones, your water, heat, electricity, and computer lines costs. Anything that is needed to make something else work is part of this overall cost. If you are growing enough to hire additional employees for your business, then the cost of the salaries of those people will be another of the expenses that will change over time. You might be the only person in your company when you first start and then grow to have a staff of dozens or more as you progress. The cost of blinds is perhaps not the first expense business persons have on their minds. If you’re like most business persons, you have a lot of expenses to fret about. To list just a few, business persons have to manage marketing, materials, rent and payroll expenses. Why would the cost of blinds be significant to a business person? Rather than looking at it as just an expense, the business owner can identify the advantages of blinds to the business overall. For instance, quality, inexpensive cellular shades enable employees to manage light in the office better. Consequently, employees are more productive, and the environment is conducive to work in. The business person profits from improved office dynamics and the increase in productivity. When the cost of blinds is considered an investment, you’re probably more willing to make better decisions for the business success rather than merely cutting costs. One of the most significant business expenses is the cost of rental for the land and building where the business will be situated. Even if you’re a small business owner who is going to work from their home, you have to figure the cost of renting your home or your mortgage as a business expense. As your business grows, you have to consider whether or not you will have room for expansion or if you are going to need to find a whole new place to work from. ISO consultant fees top the list, but only because they are the initial expenses, you come across. You need a consultant to help you analyze your business and come up with a quality management system that will not only pass for ISO certification, but work with your budget and your company’s practices in the long run. If the initial process of developing a system is not done appropriately, then you will have problems all through implementation and maintenance. Service companies will still require items like copy machines, phones, computers and other office machines. A company that sells stuff will need inventory and fixtures to hold those items. These small business expenses will vary depending on the size and intention of the company. Negotiate – bargaining can and often does pay off. There is no harm trying to get things at a better rate. Plan ahead – decide on what you need in the future. Then, when there is a mega sale, purchase at a much lower cost, even though you won’t need them for a few weeks or months. Barter – Reach out and offer to exchange services and products you offer with those of other businesses. Trading things is a long-standing idea, and it works even today. Free stuff – there are lots of sites on the net that offer you things for free. You commonly get website backgrounds, graphics, and software for no cost. See what’s out there before you buy. Borrow/rent or lease – there is no use buying equipment you won’t need more than one time. Why not borrow it or lease it, when the opportunity arises? Search – Look into changing suppliers. Initial costs are often lower than the market price. And many suppliers offer great deals at low cost, and quality is fine, too. Used equipment and other items – if you buy used things for your business, you may end up saving a lot of money. Try yard sales, message boards at local hardware stores and online, and with various newsgroups. Online/offline auctions – sometimes you can get equipment and supplies cheaper at auctions on and off the web. Bidding could be great, and it would be wise to try it before going to a retailer. Wholesale – try buying supplies in large quantities at a time to save money on individual costs. You could subscribe to a wholesale warehouse or get the items through an online wholesale supplier. Network – good networking can change your world. Sharing ideas could open new doors. Clever thinking, planning and good decision-making will see your business through the good times and bad. Make the best decisions you can, and move ahead with a better expense budget.